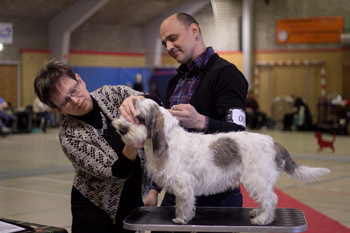 Since 2001 Iva is a show judge and in 2009 became F.C.I. 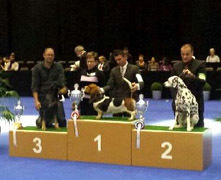 international judge. 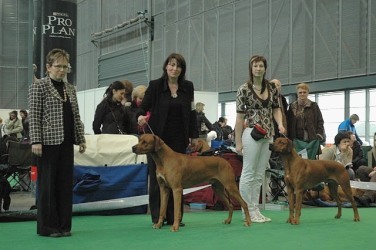 Beside Czech Republic and Slovakia she had honour to judge in Germany, Austria, Denmark, Switzerland, Italy, Russia and Hungary. 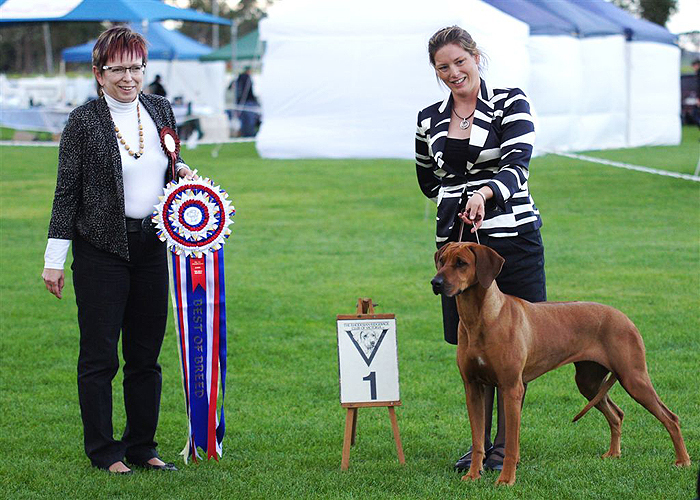 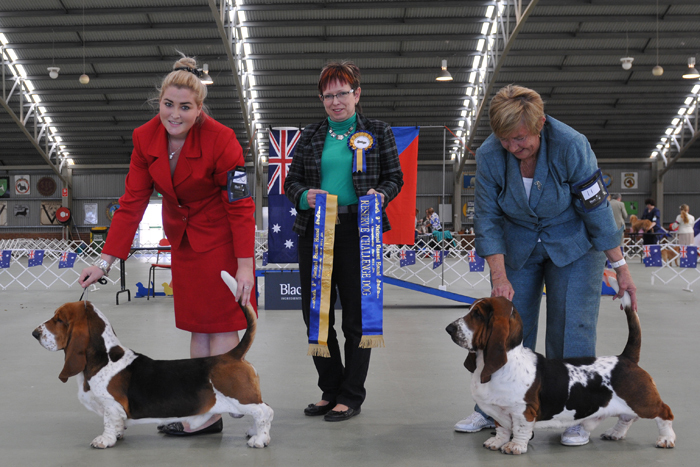 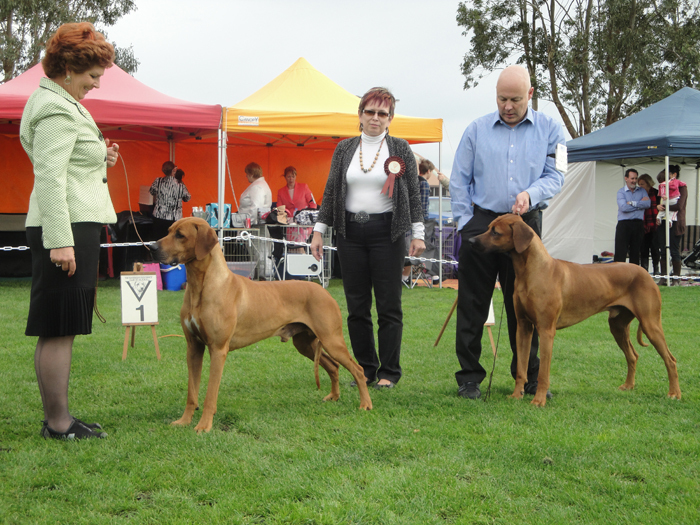 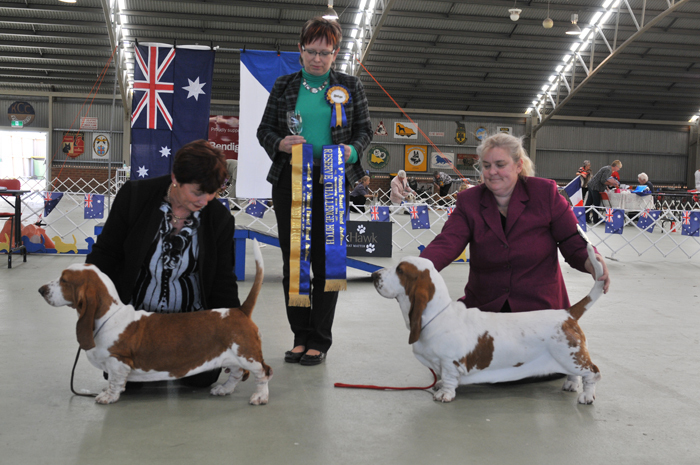 In May 2014 she was honoured to judge two championship shows in Australia - National Basset Hound Championshis show with 89 entries and The Rhodesian Ridgeback Club of Victoria Championship show with 107 entires. 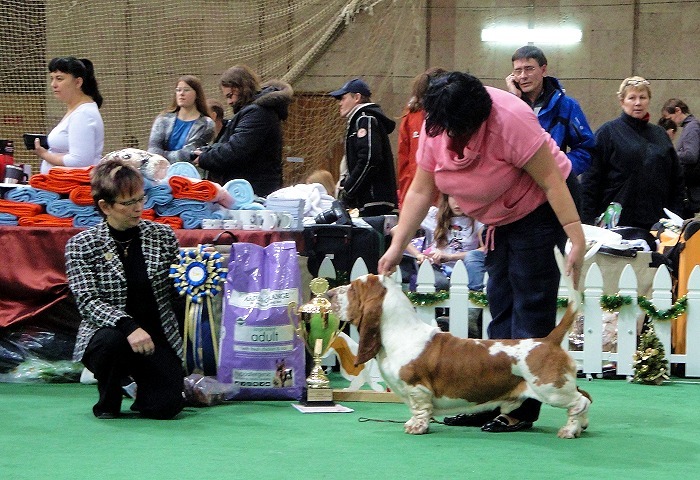 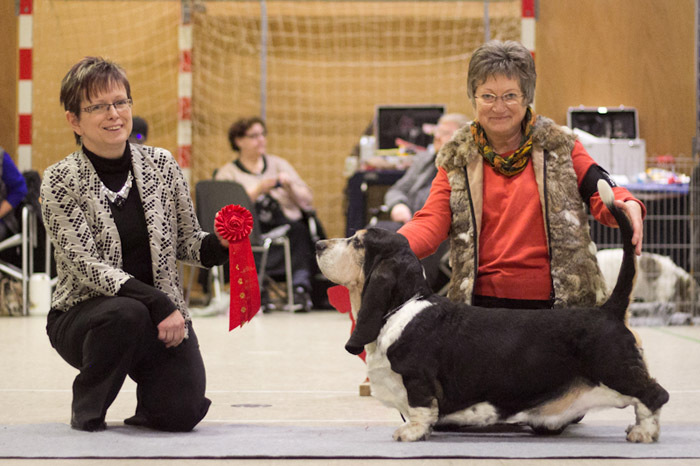 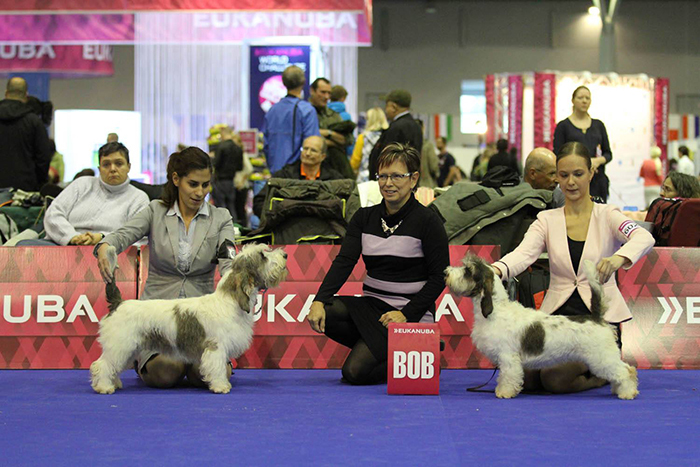 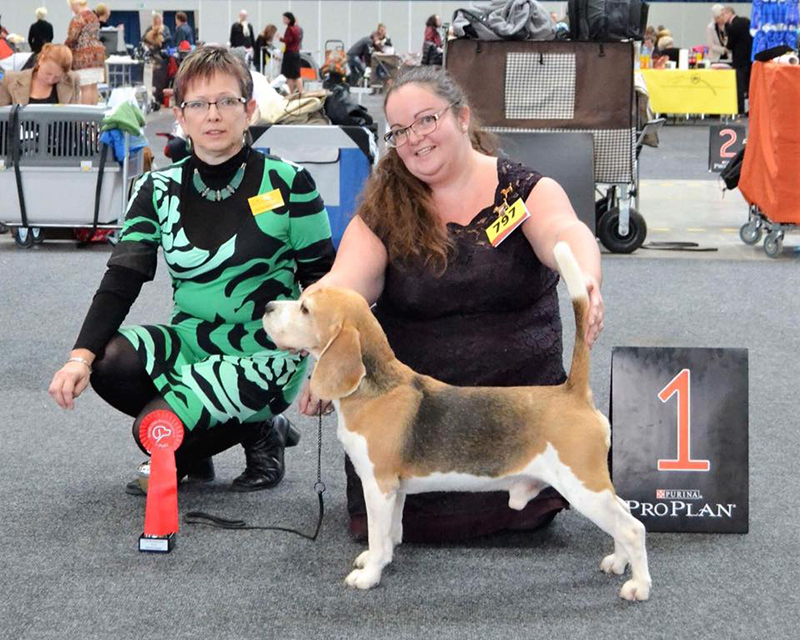 She also was honoured to judge french bassets at European Dog show in Brno 2014. 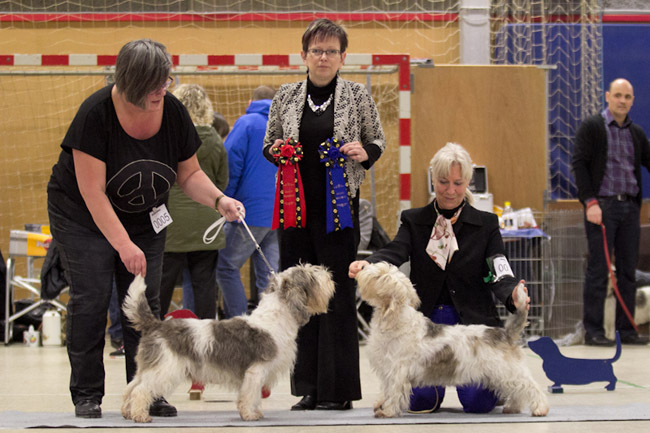 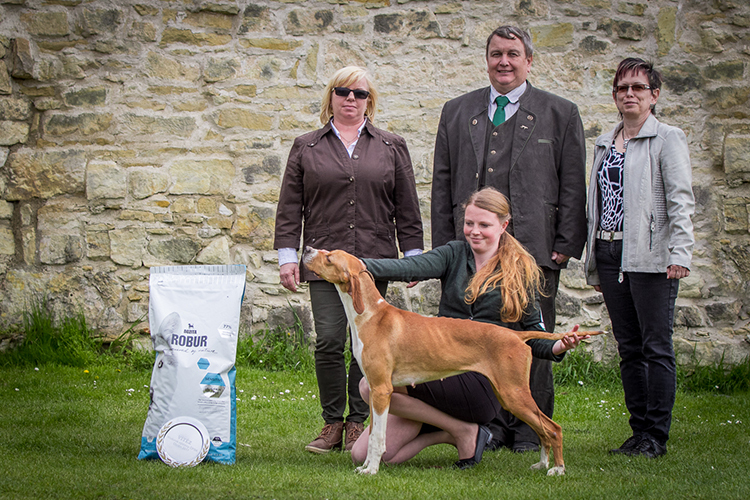 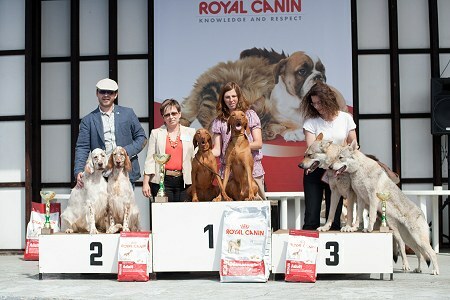 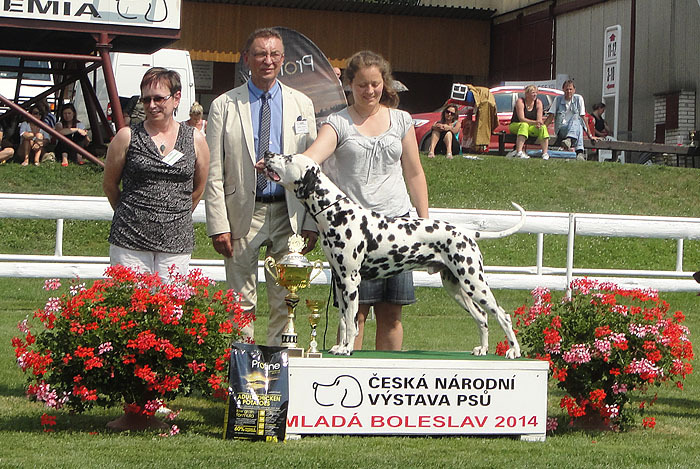 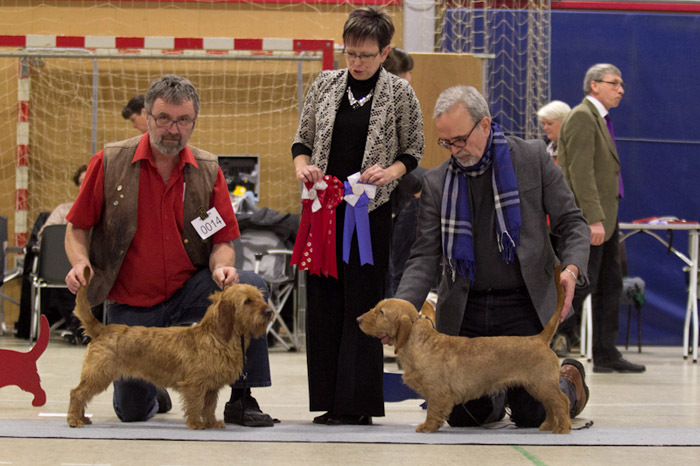 Since 2012 Iva is approved to judge all breeds from FCI group VI. 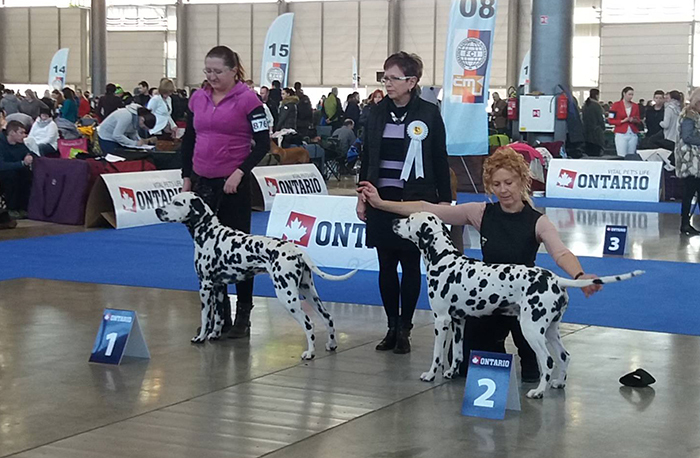 (scent hounds) and she is now working on her licence for several gun dogs (FCI gr.7). 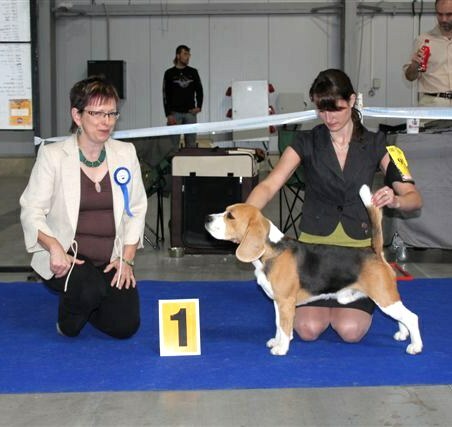 She speaks german and english foreign languages. 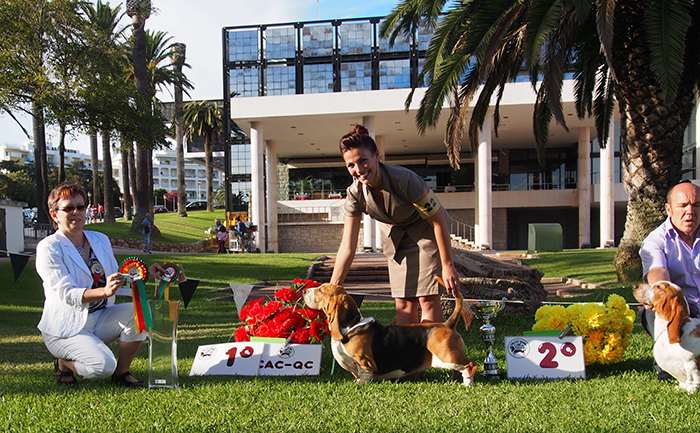 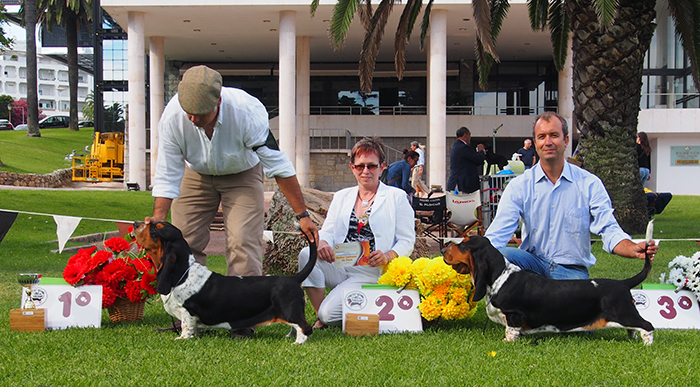 At the end of August 2014 Iva judged club show of Basset Hounds in Portugal, which was combined with national all breed show (Iva judged several hound breeds - Beagle, Dalmatian, Rhod.Ridgeback, PBGV, Basset Fauve de Bretagne, Basset Artesien Normand) - the shows took place in beautifull park in the front of big house of casino in Estoril near Lisbon. 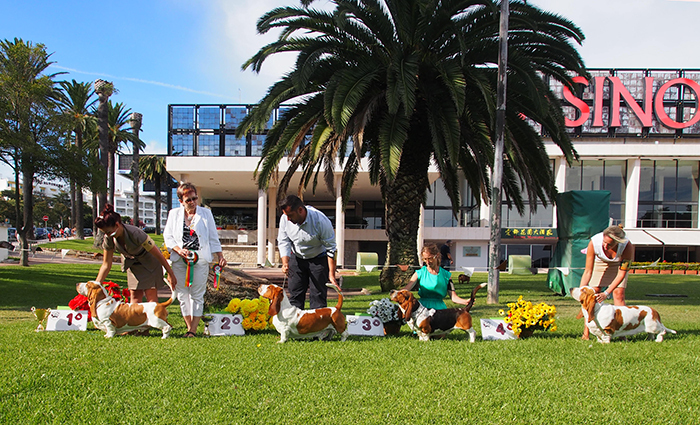 The venue was extra ordinary due to its surroundings (park, palm trees, ocean nearby). 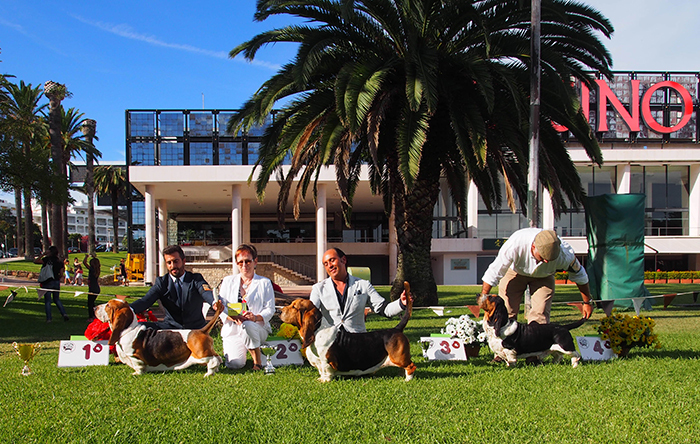 There was 24 entries to club show, they came from Portugal, Spain and Brasil. 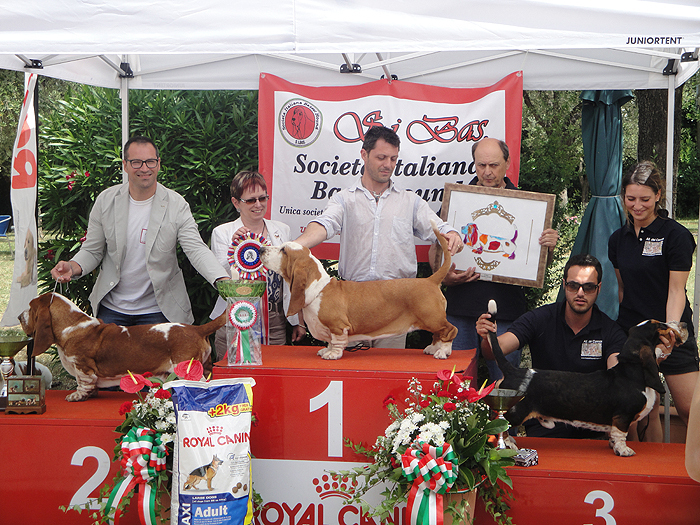 It is not every show, where one can judge several world and european winners within an afternoon! 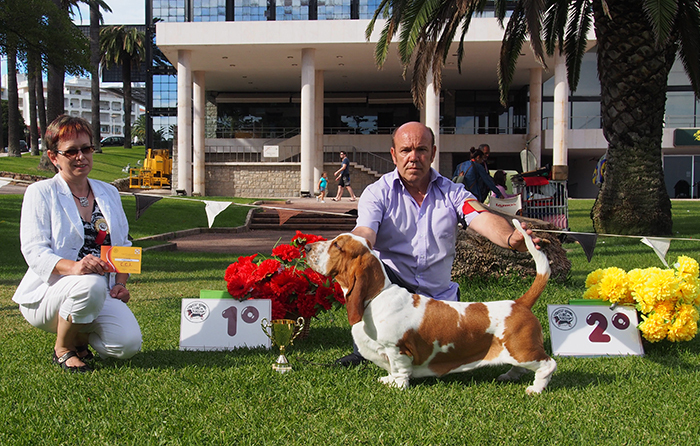 Males - champion class: excellent 1st CCC, Best Male Bombay de Wila Damar, Spain, ex. 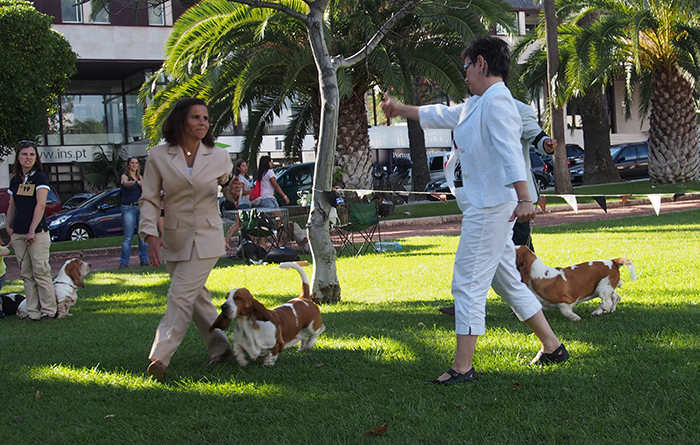 2nd Robbins Dos Sete Moinhos, Spain, ex. 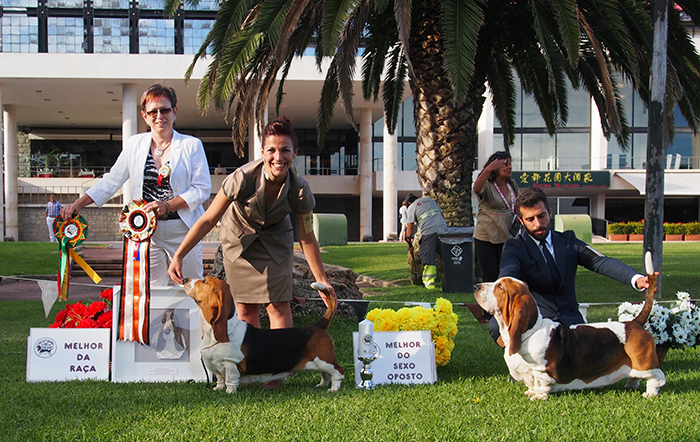 3rd Sean da Casa do Trevo.